Avoka, a Temenos company and SaaS leader in digital customer journeys in banking, today announced the launch of Workspaces, a new module of the Avoka platform within the Temenos Infinity product. Workspaces is a digital review and approval workspace for retail banking and credit union staff, built to support resolution and customer service for account opening and onboarding. The new module is included with all implementations of the Avoka platform within Temenos Infinity, which includes Springboard Retail Deposit Account Opening, and is available today worldwide. Avoka was acquired by Temenos in December 2018. Avoka capabilities are now options of the newly announced Temenos Infinity, Temenos’ groundbreaking omni-channel digital front office product. Frequently, applications submitted for Straight Through Processing (STP) by a prospective customer to a bank for a deposit, loan, credit card or other type of account cannot be immediately approved or declined, and these Pended applications are Referred to bank staff for attention. Efficient resolution and assistance for customers is an essential part of omnichannel customer acquisition. Workspaces is used by bank staff to enhance the customer experience and improve productivity during the Referral process, often a source of onboarding delays and customer dissatisfaction. Temenos Infinity Springboard is the only Deposit Account Opening solution with an integrated staff workspace for resolving Pended applications. Avoka, which is part of Temenos Infinity, is a customer engagement platform, purpose-built for bank and credit union member acquisition and onboarding journeys, including account opening, loan applications and business onboarding. 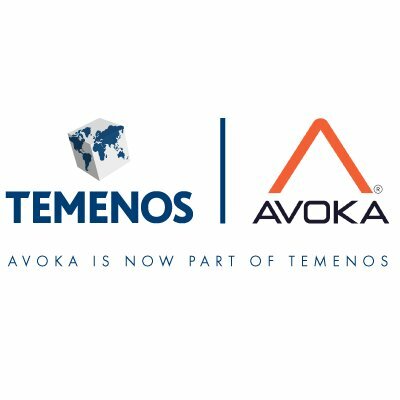 Avoka products are now optional components of Temenos Infinity, a cloud-native omni-channel suite of products for the banking digital front office.